Nordstrom Half Yearly Sale - Ends 5/31! So you might have heard that Nordstom is having their half yearly sale right now. But did you know that it ends tomorrow? Yep, it ends on 5/31. So if you still haven't stocked up for Summer. Now is the time to do it! Or better yet - if you're engaged (like I know a lot of you are!) then now is the perfect time to stock up on stuff for your honeymoon! I'm talking about up to 40% off on swimwear, maxi dresses, sandals, accessories. And much, much more! Yep, it's everything from watches to wedges! See some of my faves below. Oh, but don't forget! You're going to have to go quick! Because this sale ends on Sunday 5/31. And that's tomorrow. 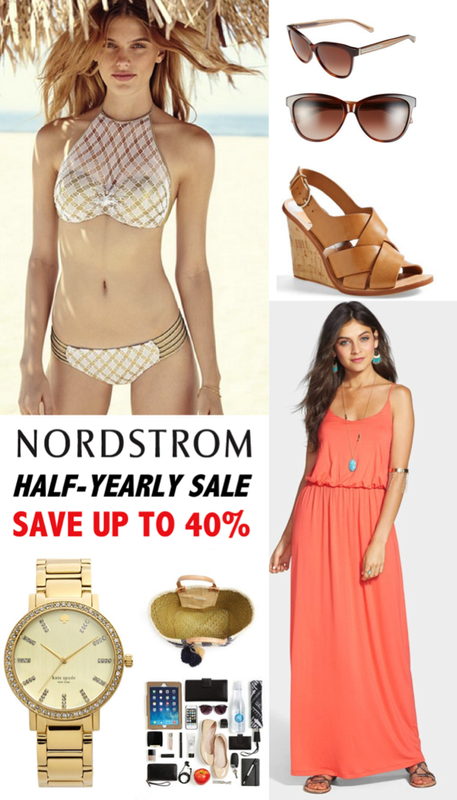 No Comment to " Nordstrom Half Yearly Sale - Ends 5/31! "